I had the distinct pleasure to chat this month with the author of one of the most comprehensive books on the topic of how mind influences the material world, and I’m honored to share our conversation with you. Pamela Heath, M.D. is the author of Mind-Matter Interaction: A Review of Historical Reports, Theory and Research, a book that is a real gem to anyone seriously interested in exploring everything ESP and PSI related. CYNTHIA: While reading your wonderful book, Mind-Matter Interaction, I was impressed with the breadth and depth of the subject material covered. Not only do you delve into the history of such things as poltergeists and metal-bending, but some things I’ve seldom seen mentioned before are also included, such as Deliberately Caused Bodily Damage Phenomenon. The amount of research you put into this book is truly extraordinary. When did you first start this book, and what was your primary motivation for writing it? PAMELA: One of the things you have to do in a doctorate program is decide on a dissertation topic. The program chairman (Jon Klimo, with whom I later wrote 2 books) advised me to pick something no one else had done. That way it helps fill in gaps in our knowledge and has the secondary benefit of giving one a unique area of expertise. Since I was a medical doctor I was interested in anomalous healing. Unfortunately there were already a great many published high quality studies—I didn’t feel I could really add anything meaningful to the literature. However, no one had ever done a rigorous phenomenological study on mind-matter interaction. So, I tackled that. When I asked one of my faculty, Jerry Solfvin (who was originally on my board but left before I defended my dissertation) what he wanted me to do for the literature review he said “Everything since the dawn of man from every culture around the world.” After I got my breath back, I set to work. And he was right. Such a review was really needed. There hadn’t been a decent summary of the mind-matter interaction research since 1976. It was a stunning amount of work. After I graduated in 1999 I turned the thesis into “The PK Zone” and turned my attention to other books for a while. However, I swore I wouldn’t let the material get more than 10 years out of date (a promise I now know better than to make again). So, every time new research came out, I added it to what would become “Mind-Matter Interaction.” This multiplied when the online parapsychology library database became available with every journal article since the 1880s. I worked to fill in earlier gaps for material I’d had no earlier access to as well as adding newer research. In addition, I developed friendships with other researchers who were kind enough to share their insights with me and improve my understanding of the experimental findings. One of the many new friends I made was Dr. Hussein in Jordan, a researcher on Deliberately Caused Bodily Damage Phenomena. It was wonderful to get his insights (since this is seen more in the Middle East than the West) and published data so I could add it in. You’ll also see some other new topics. So, the end book took 12 years of work. CYNTHIA: Wow–Twelve years of work is quite an investment of time, effort, and energy! What motivates you to so thoroughly dedicate yourself to this area of research? PAMELA: Part of it was I wanted answers for myself—why I could do things my scientific training told me were impossible. Part of it was probably just my personality. When I do things, I like to do them right, to be as complete and accurate as I can be. However, I learned my lesson! I don’t plan on updating the book again. 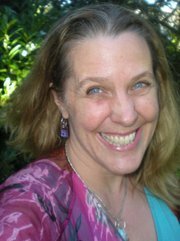 CYNTHIA: I love the fact that you’re a medical doctor with an interest in psychokinetic phenomena, since your training suggests you bring a solid scientific background and comprehensive awareness of the “body” component in mind-body-spirit dynamics. What Mind-Matter Interaction research would you most like to see medical schools include in their standard curriculum? PAMELA: I would like to see medical students trained in basic healing techniques as well as greater awareness of the statistical effectiveness of prayer. Even talking about prayer is somewhat taboo in the medical profession unless you live in the South. However, prayer needn’t be religious. Focused well-wishing of others can have an impact. In addition, I’ve only known a few doctors who were aware of the usefulness of medical intuitives when conventional diagnostic methods fail. While our world would clearly benefit from encouraging people to adopt these attributes that are so conducive to mind-matter interaction, few western cultures seem supportive of encouraging mind-matter interaction. Have you visited cultures who are supportive of psi-positive qualities? PAMELA: I spent two years with the Navajo and felt they were a very psi-conducive culture. There’s more acceptance of certain aspects of mind-matter interaction such as prayer healing in the West than you might think. What isn’t accepted are parapsychological terms—an issue you see even among paranormal investigators. A lot of it comes down to language. Talking to another doc I might refer to “gut feelings” whereas with someone else I could talk about something my subconscious mind picked up on (which includes psychic input), a tickle in the hind brain, hunches, dreams, intuition, precognition, “blue sense” (cops), visions, clairsentience, or some other term. Each subculture (whether by profession, location, or religion) has its own language of what is acceptable. When one becomes fluid in translating terms from those acceptable in one subculture to that of another, many (though not all) of the differences fade away. However, there’s not a lot of advantage for anyone in admitting they are psychic. It only draws attacks from disbelievers. CYNTHIA: Something I learned from attending the “Language of Spirit” conference with indigenous elders, linguists and physicists is that our language can influence our thinking much more than most of us realize. For example, Cheyenne Indians have a word that means both “duck” and also “snake” when an extra word referring to “going down a hole in the ground” is added, because the shared word describes the motion those two animals make as they sway from left to right. I wonder whether we might glean insights from contemplating such action-based similarities between ESP and psychokinesis, for example. What are your thoughts on the significance of terminology for helping us better grasp what’s going on with mind-matter interaction? PAMELA: Names have a lot of power. They can make us feel in control, reflect what we know about something, offer possible insights, or even limit our potential understanding about the thing named. Most of the time having different words for things (such as the numerous terms Eskimos have for different types of snow) expands our ways of thinking of things. However, in research it can be problematic to treat the same thing as if it is two different things. Many parapsychologists (myself included) feel it’s misleading to talk about ESP as separate from mind-matter interaction because they may be the same thing called by two different names. That’s part of why many of us are shifting to the more general term of psi. CYNTHIA: With so many types of MMI experiences described in your book, I can’t help but wondering which types of experiences you’ve had. Would you please share one of your especially memorable mind-matter interactions? PAMELA: My first MMI experiences were with anomalous healing. I trained with a Spiritualist healer in Casadaga, Florida for six months and had some wonderful experiences with séances and chasing a table around a room there, too. Early on I blew light bulbs when angry. For a while, I had to keep a lot of spares around! However, I learned not to do that. I’ve also bent spoons and spun energy wheels, but can’t really say any single experience has stood out more than the others. I’ve tucked it into my life so there’s an everyday baseline of psi that I seldom think about, I just use. A lot of the healing work I do now is for spirits. You would think they didn’t need it, but some do and not many folks do that kind of work because there’s no payment or recognition, just the feeling of knowing you’ve helped and the silent gratitude of the dead. CYNTHIA: I see you’ve written a couple of fascinating looking books, Handbook to the Afterlife, and Suicide: What Really Happens in the Afterlife, which definitely look like the kinds of coffee table books that would stimulate some pretty lively dinner conversations. Clearly both of these books deal with the afterlife–could you tell us why you devoted an entire book to the subject of suicide in particular? PAMELA: In many ways I felt it was—or should have been—Jon’s book, but it morphed into my doing most of the work and writing. As to how it came about, anyone who has been a graduate student knows you spend a lot of hours in your chairman’s office hearing them talk about things. One of the topics Jon spoke of was how he was once asked by a psychologist to gather the channeled messages of suicides and talk about them with a suicidal client. Jon put together something like twenty pages of material, which, in the case of taking the life of a healthy body pretty consistently says “You won’t burn in Hell if you do it, but it’s really not a good idea. Don’t do it.” The doctor part of me loved this. It’s like informed consent—know what you’re getting into before you burn your bridges. Then, even if you choose to proceed, you will at least be better able to navigate the situation. I told him he should do a book on it, that it would save lives. After about four years of the same back and forth, Jon admitted he didn’t have those twenty pages anymore and really didn’t want to regather them. So, I offered to do it. Many of the books we pulled the material from came from Jon’s library. He’s got one of the best collections of channeled material in the world, as he’s an expert on the field. Many volumes are very rare and hard to find. Unfortunately, they aren’t very organized! I read about five hundred channeled books and articles, noting which ones had even remotely credible information. I say remotely credible because not every medium who channels is getting the info from outside themselves. When it sounded like they were making stuff up (like the one claiming to channel Shakespeare complaining about the women actresses he had to work with, when those who know history realize men played all the roles) then I did not include it. Otherwise, I tried to collect as much from as many different cultures and eras as I could. Jon and I felt that it would give us our best shot at finding what the spirits really say, rather than what mediums claim they say. I gave it all to Jon but nothing happened. So, I organized the material for him. Nothing happened again. Next, I began writing the book. At this point he joined in, adding his more experienced writer’s voice, particularly in the introduction and conclusion. We spent months tracking down permissions and paid thousands of dollars in copyright fees so that readers can see firsthand for themselves what channels say. It was very important to us that they realize we weren’t making up our conclusions, and could draw their own. Unfortunately, because those copyright permissions were so difficult to obtain and were limited to small print runs, the book will never be released in electronic format. Handbook to the Afterlife was something that grew out of my going to paranormal conventions. It bothered me that some folks saw the dead as things to experiment on, not understanding the dead’s needs and humanity, while other genuinely cared but were clueless about what was going on or how to help. A lot of good information was already in the Suicide book, but the topic was so polarizing that folks refused to read it. So, I asked Jon whether he’d like to work with me again on something that took out the suicide emphasis and organized the material on more of a “what happens?” basis and keep it short and concise, like a Cliff notes version of the afterlife. Jon felt it was not worth doing unless we could be different from other books about the afterlife. We decided what would distinguish us from others would be an emphasis of the stages of the afterlife as a kind of continuation of lifespan development. Most books talk about the afterlife as a place. They describe it as a setting. But the setting doesn’t really matter—they vary by culture, self-generated by spirits. However, there is common ground in another way—an underlying core process all beings who die must move through. The tricky part was figuring out how to organize the stages of the afterlife. There is a certain amount of arbitrariness to whether you lump some things together or make them separate. However, we did our best to find the common ground, drawing not only on the earlier sources I had read for the Suicide book, but also new ones as well. The last third of the book was also something of me coming out of the closet as a psychic who spends a lot of time working with the dead. We were mostly finished when my parents were killed in a natural gas explosion that burned their house to the ground. I don’t talk much about my personal experiences during that time, but the result was a pretty complete rewrite of the last third of the book and a change in the book’s dedication. To be honest, I’m very proud of this book. We tried to make it not only useful but readable—a tough task for two academics! CYNTHIA: One thing I didn’t ask you about after reading your book, but thought about after seeing your website is the fascinating topic of table tipping. I can’t help but wonder how this activity came into your life, and what you find most interesting about it. PAMELA: People tend to react to physical phenomena in one of three ways: denial, fear, or thinking it’s fun. It probably helped me that the first time I was exposed to these things that it was by folks at a Spiritualist camp who were completely comfortable with them. When I started taking anomalous healing lessons from Reverend Mary Smiley it opened a number of doors for me. One of them was that as her student I got invited to old fashioned physical séances that the camp mediums did for fun. No outsiders were allowed. It wasn’t for pay. So, I was the only nonprofessional medium present, and had a complete blast. One of the highlights of those séances was chasing a very heavy wood table around a room, all of us in short sleeves (Florida can get hot) with fingers on top of the table. That table was really moving fast! It was hard to keep up with it. That experience was really important to me because it cemented in my mind that these things can be real, not all of them are fraud. That shaped my mindset when I went through the parapsychology program, because if you talk to the folks trained in Edinburgh (which is responsible for the majority of what few doctorates there are in parapsychology) most of them are extremely skeptical if not disbelieving of psi. I don’t tend to think of these things as interesting so much as delightful—that the world is more than one might think. Watching flashlights move on the USS Hornet or turn on and off without being touched to answer questions elicits the same response in me. I don’t treat it in a Spock-like way of something fascinating to analyze. I simply enjoy it. And that attitude actually makes events more likely to occur. I don’t go into analytical mode unless trying to help someone solve activity that is interfering with their life—whether a haunting or physical phenomena. CYNTHIA: Thank you so very much for making time to answer some questions–I feel deeply grateful that you’ve shared so many fascinating ideas about mind-matter interaction. Would you please let us know where we can learn more about you, your books, your events, and your activities? PAMELA: The best place to go to is my website www.pamelaheath.com. I have tried to make it a helpful resource for folks. Everything there is free. You’ll find FAQ pages, video, journal articles, and other goodies. PSI and the mind are both special interests of mine! Thanks so much for the reblog! This woman is inspirational. A great interview Cynthia! Thanks for sharing this peek into a very enlightened woman’s life! I especially appreciate her perspective on “the dead’s needs and humanity”…spirits are as real to me as human beings! Thank you! Yes, I agree that Pamela’s views on the dead’s needs being important are wonderful…. and I so appreciate your perspective that spirits are as real as human beings!